Christmas is always going to be a great success when this gang are in charge! 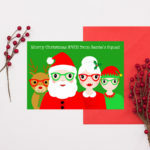 A fun and unique Christmas card, fantastic for any age, young and old. The design features Santa Claus, his wife, an elf and Rudolph the red nosed reindeer, with the text ‘Merry Christmas from Santa’s Squad’. The card is available in A5 size and also A6 size and is blank inside for your own special message. The A5 card (only) can be personalised, you can add any name or relative name into the phrase along the top of the card. 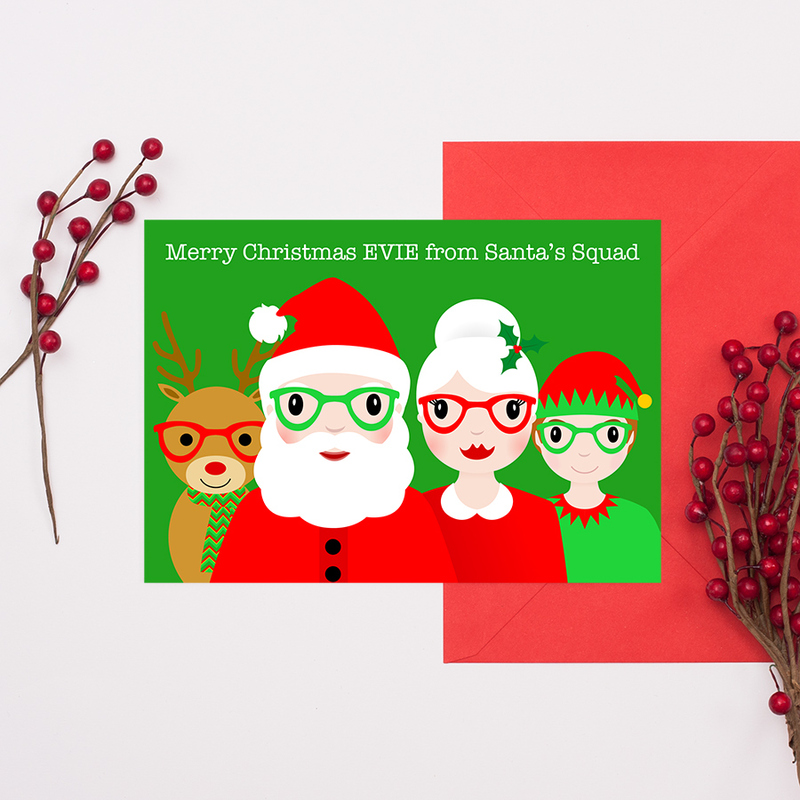 Be the first to review “Santas Squad Christmas Card” Click here to cancel reply.